SEBASTIAN – Florida Power & Light is working to restore power in Sebastian and Barefoot Bay after widespread outages were caused by Hurricane Irma. Some people in Sebastian and Barefoot Bay had their power restored yesterday but woke up again to no power. As of 12:00 p.m. Tuesday, power has been restored to most residents living in Sebastian and Vero Lake Estates. Several FPL trucks were seen traveling on CR-512 after exiting I-95 on Monday and Tuesday. Trucks have been seen near Barber Street and Roseland Road in Sebastian. Some areas near Collier Creek Estates on Fleming Street still have no power. Farther north, in Micco, Barefoot Bay residents lost their power again early Tuesday morning as FPL is fixing a main power line. We reached out to FPL on when certain areas in Sebastian would have power restored, but even their spokesperson couldn’t tell us anything definite. 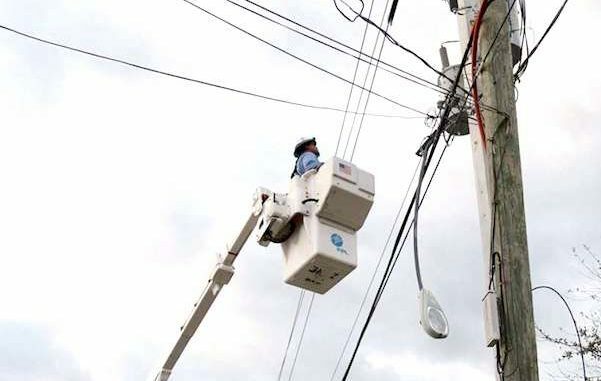 The spokesperson did say that if residents are told “In Progress” by the FPL mobile app or website, it usually means power will be restored within the same day. We drove around Sebastian and did see FPL trucks working on power lines that were down. These lines can affect an entire street or neighborhood. “FPL estimates power to be restored on the east coast by the end of the weekend, with some exceptions,” the company said in a statement.